Like its predecessor, Bases Loaded II offers both a single-game mode and a single-player "pennant race" mode. In the "pennant race", a player must first achieve at least a 75-55 record during the regular season, then win a best-of-7 "World Series" against L.A. or N.Y. depending wheter you have chosen a team from the Eastern or Western league respectively. Jaleco changed very little between Bases Loaded and Bases Loaded II; even the same fictitious 12-team league returns in this game, with new players. (It is worth noting that all of the players on the D.C. team are named after famous politicians, while all of L.A.'s players take their names from Hollywood luminaries. In addition, Hawaii's leadoff hitter is named Ho.) One new feature was the "biorhythm" concept; players in the game had "biorhythms" that could be monitored to ensure optimal performance. 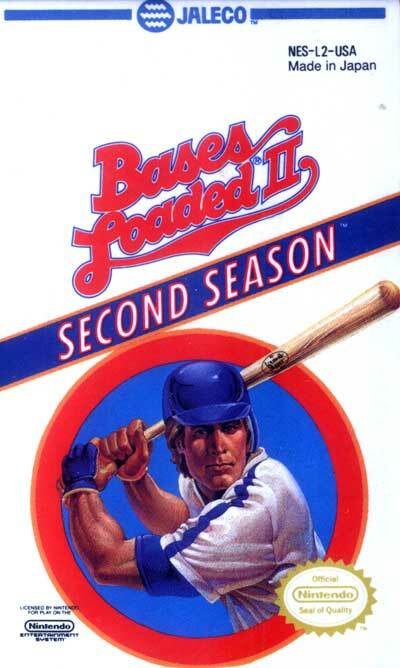 Bases Loaded II had a little faster play action then the original Game.